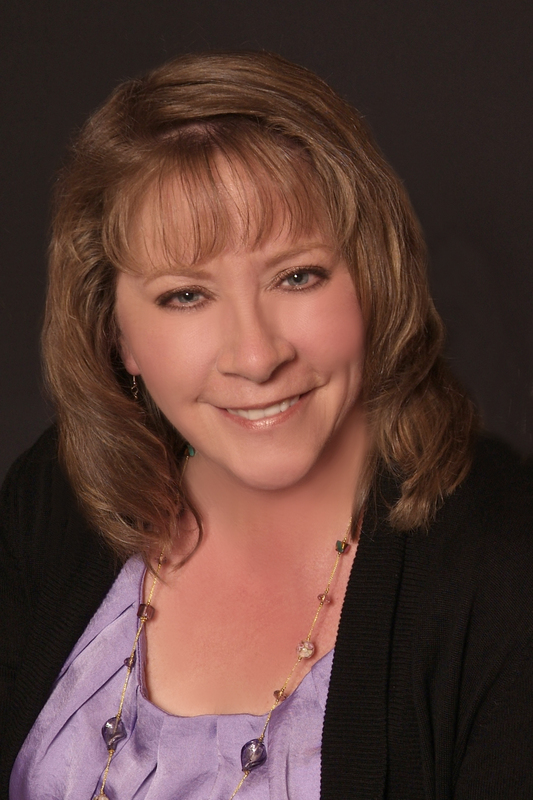 I’m delighted to have Sherry Ewing here today! She and I are both part of the Medieval Mondays crew. 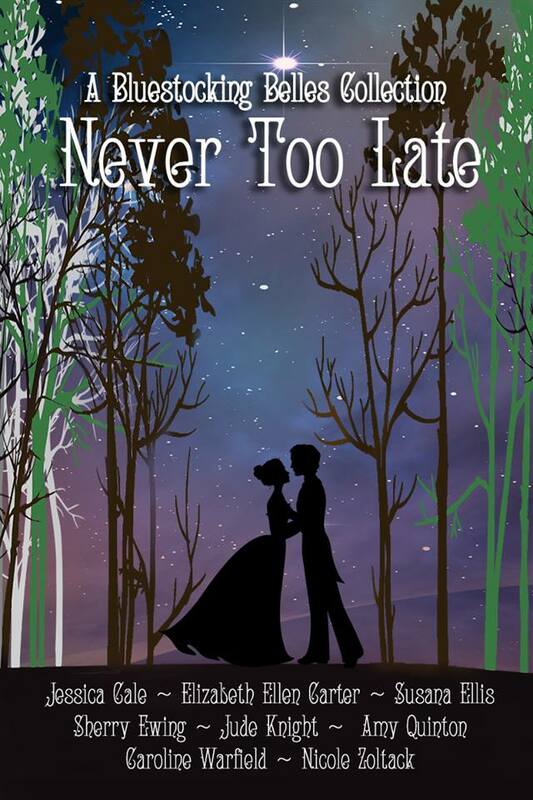 We’ll give you a sneak peek at The Piper’s Lady, one of eight novellas in the Bluestocking Belles’ 2017 box set, Never Too Late. 25% of the proceeds benefit their mutual charity, The Malala Fund. But first, let’s get to know Sherry a little better. At what age did you write your first story? I remember being in grade school. Certainly that was several lifetimes ago. What was your first published book? If My Heart Could See You, a medieval romance, in July 2014. What’s your favorite part of the writing process? Brainstorming? Research? Outlining? Writing? Editing? I really like those little ah-ha moments when everything all of a sudden clicks inside my head. What are you working on now? I have several projects I’m working on for my Knights of Berwyck series. Of all the settings you’ve used (or created!) for your books, which is your favorite? Why? I love the medieval time period mostly because I’ve always dreamed of handsome knights. I used to tell my kids I was born in the wrong century and wrong continent. Have you ever dreamed about a character you created? I have. They also tend to wake me up at all hours of the night voicing their opinions. Sometimes they’re like misbehaving children. If you could have a conversation with anyone—dead or alive—who would it be? I would have a conversation with my daughter who passed away in 2013. She would have been sixteen. I’m so sorry for your loss, Sherry. If only I could grant you that wish. If you could travel to any time and place, when and where would that be? Besides the medieval time period, I would love to have seen the royal court of Queen Elizabeth I. If a fairy godmother appeared and offered you one thing—anything at all—what would you request? To turn back time so I could spend more of it with my daughter and family. Again, I wish I could make that happen for you. Unfortunately, I’m neither a fairy nor a godmother. For what it’s worth, I’m sending you love and a long-distance hug. Now, it’s time to learn some of your favorites! Garrick once more captured the woman in his arms as they fell to the ground in a heap. In a repeat performance, he rolled to bear the impact ’til she was captured beneath him. Hazel eyes stared at him in wonder, and his heart lurched in his chest. “Sir Garrick…” His named passed her lips in a breathy whisper. 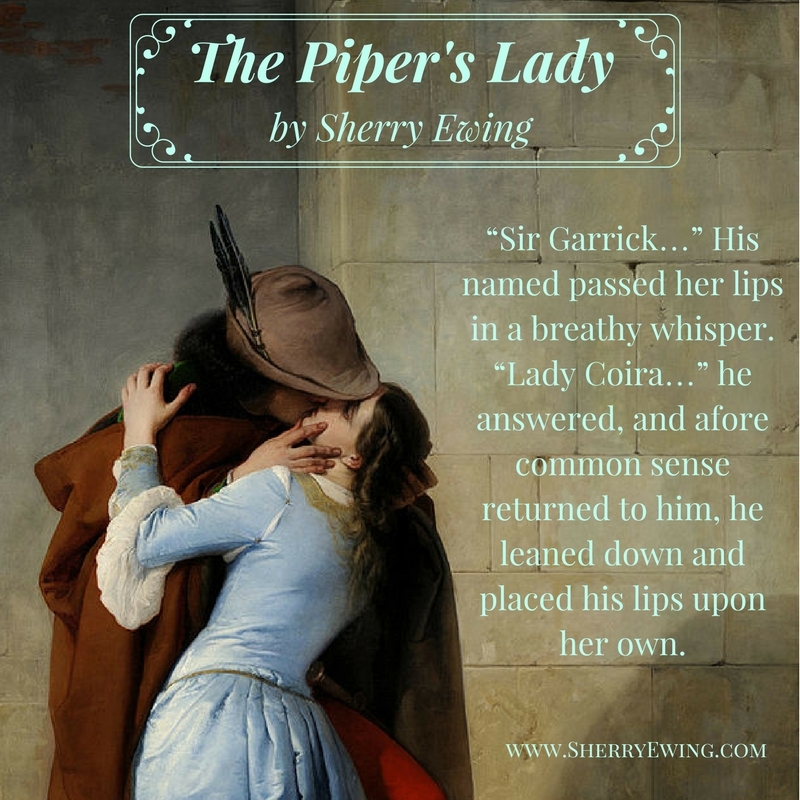 “Lady Coira…” he answered, and afore common sense returned to him, he leaned down and placed his lips upon her own. By God’s Bones, he must be mad, he thought even as her arms pressed their way over his shoulders and wrapped themselves around his neck. His mouth moved over hers gently for he did not wish to scare her. ’Twas an exploration… a first-time meeting of two souls as their breaths exchanged with one another. He was lost ’til a low throaty moan escaped her and brought him back to the reality of what he was doing. He broke off their kiss and jumped up as though he had been burned, which was not far from the truth. Bloody hell! If Coira were in truth Morgan’s lady, the knight would skewer him alive and see his head placed on a pike outside Berwyck’s gates for taking such a liberty. He would not think of what Lord Dristan would do to his remains since the lady was also under his watchful eye. He began cursing and pacing back and forth ’til he realized he had left the lady of his musing lying on the hard ground. She had propped herself up on her elbows and was watching him intently. He came to her and held out his hand to help her rise. Her fingers slipped into his palm, and he once more forgot about everything else but the lady he pulled up to stand. Her knees gave out, and she once more fell into his arms as they stumbled up against the very oak that began the downfall of his life as he knew it. Garrick reached out to steady them whilst her back was up against the solid trunk. He clearly had no sense left in his head whilst he rested his arm above her head and stared down at the beautiful woman who was beginning to claim his heart. “I seem to be alone in the world now,” she answered softly. Garrick did not miss the small catch in her voice. Thanks so much for joining me today, Sherry. Wishing you all the best!